Funk‘N’Soul, performed at the 3aaa County Ground as resident musicians for the in-house Event Organiser’s, Corporate Christmas Party Events. The 3aaa County Ground, Nottingham Road, Derby, Derbyshire DE21 6DA. Funk’N’Soul, Performed here for a fabulous wedding. Stunning grounds. Fantastic staff. Accommodation for your guests available. Perfect setting for a memorable occasion! Talton Lodge, Stratford-upon-Avon, CV37 8UB. Alveston Pastures Farm is three miles south of Stratford-upon-Avon in the heart of the Warwickshire countryside set well back off the road in a peaceful setting. Perfect for that exclusive wedding or party setting surrounded by stunning grounds. Alverston Pastures Farm, Stratford-upon-Avon, CV37 7RP. 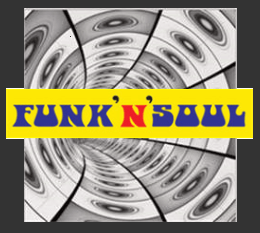 Funk’N’Soul, were enjoyed by Myton Hospice charity events team based at Ryton, West Midlands. It was a fabulous dinner and dance event. Raising a substantial amount for a worthy cause. Best Western Plus Hotels, Windmill Village Hotel, Birmingham Rd, Allesley, Coventry CV5 9AL. Funk’N’Soul, had been recommended by Sundial Group for a couples wedding reception at the beautiful Woodside Hotel venue. These stunning grounds are set back from the small town of Kenilworth, Warwickshire. Perfect for any special occasion. Sundial Group Venue, Woodside Hotel, Glasshouse Lane, Kenilworth, CV8 2AL. West Indian and Caribbean Centre, 159 Spon St, Coventry, CV1 3BB . Performed for the locals of Earlsdon, Coventry who really dig their music scene and appreciate professional quality musicians. Great night had by all. Enjoying soulful tunes and attentive staff coupled with dancing crowds of people even at the bar as the venue was fit to burst! Funk’N’Soul, performed at this quaint hotel for a delightful wedding. It has charming characteristics and helpful staff. Great reception area and is situated perfectly for all amenities in and near to Warwick town centre. The Warick Arms Hotel, High Street, Warwick, Warwickshire, CV34 4AT. Set on an historic estate, this premium conference hotel is perfect for weddings and parties both around 5 miles from Warwick Castle and Heritage Motor Centre. Funk’N’Soul, performed as a wedding band for a fabulous reception with very attentive and dedicated staff. It was a brilliant celebration for a wonderful couple. This hotel has a modern twist to it’s picturesque surroundings. Amenities include a restaurant, a bar, a fitness centre, a resistance pool, tennis courts and meeting rooms, plus access to 35 landscaped acres. On-site parking is complimentary. Ashorne Hill, Leamington Spa, CV33 9QW. Funk’N’Soul, performed here for a terrific wedding reception. The grounds are very pretty and benefit from modern surroundings for conference meetings, weddings, parties and spa breaks. The holistic spa provides thermal treatments, and there’s an 18-hole par-70 golf course and a floodlit driving range. Staff accommodating and relaxed atmosphere. Perfect retreat. Wyboston Lakes – Leisure & Conference Centres Of Excellence, Great North Road, Wyboston, Bedfordshire, MK44 3AL. It is always a great pleasure to perform at this wonderful hotel. It has a full Civil Venue Wedding Licence meaning you can also marry at this hotel. It was one of the first wonderful weddings the band were hired for 8 years ago! Staff are friendly and attentive with perfect surroundings to enjoy the views. Funk’N’Soul, have performed here a handful of times and it’s greatly situated for Marquees and delicious food stalls. The Charlecote Pheasant is situated in the charming village of Charlecote, just 4 miles from Stratford-upon-Avon. The reception facilities hold up to 160 guests and fabulous bedroom options for you and your wedding party. The hotel is the perfect choice for a rural wedding set in 4 acres of its own grounds in the Warwickshire countryside and yet has an extremely convenient location just a short drive from junction 15 of the M40. A full Civil Venue Wedding Licence means you can also get married at this hotel. The Charlecote Pheasant Hotel – Coast & Country Hotels, Charlecote, Stratford-upon-Avon, CV35 9EW. What a fantastic music venue this was. Many memories for Coventarians with various named acts and performances held here over the years. This was one of the first music venues Funk’N’Soul, performed at 8 years ago! It was quite a sight to watch 100’s faces with jaws dropped realising what a very special bunch of musicians they were hearing. Creating a pleasant change from Coventry’s well known ska and 2tone scene. Kicking off with Average White band’s ‘Pick Up The Pieces’ , Stevie Wonder’s ‘I Wish’ and Earth Wind & Fire’s ‘In The Stone’. Their accurate renditions seperated the hobby players to those who Sleep, Eat and Breathe the business. Great Nights! The Old Fire Station, Hales St, Coventry, West Midlands, CV1 1JA. Funk’N’Soul, were hired for our youngest birthday girl to date. ’21’ Can we get an ahh…? What a night this truly was. It consisted of long term friends who were also heading off to various ends of the earth travelling and universities. There was so much to be celebrated as well as a special birthday. They all looked stunning in their ball gowns and suits and partied the night away to the 8 piece band. This quaint setting is situated within easy reach of Coventry, Rugby and Leamington Spa, on the North bank of the River Leam in the tiny village of Eathorpe, this venue has wonderful views over the valley and is equipped to the highest standards for food preparation and Powerpoint presentations through overhead video projection – via your own laptop. Tables,chairs and place settings for up to 60 diners, or up to 100 for a buffet. A popular venue for wedding receptions, parties, away-days, training sessions, table tennis, film shows, and Live and Local Theatre groups. Eathorpe Village Hall, Main Street, Eathorpe, Warwickshire, England, CV33 9DE. The Music Director and Events Coordinator for Funk’N’Soul, were privilaged to be shown around this beautiful stately home in preparations for a terrific wedding reception. It was an outstanding occasion and the grounds made for a truly picturesque wedding. It was a pleasure to work alongside the owners and staff on site. Stanford Hall is a stately home in Leicestershire, near the village of Stanford on Avon and the town of Lutterworth. It becomes the backdrop for your own experience: present your event in the splendid ballroom…or combine a drinks reception in the green drawing room with a dinner and dancing in a lined marquee on the north lawn. Enjoy living amongst the historic paintings of the famous Stuart collection, play a frame of snooker or just curl up in the library with a book in front of a crackling fire. Alternitavely, explore the ancient woodland and the freedom of 900 acres across the estate. Stanford Hall, Lutterworth, Leicestershire. LE17 6DH. On this occasion Funk’N’Soul, were hired for a very exclusive gentlman’s special birthday. Our lips are sealed! This stunning stately home venue is perfect for the most important day of your life or create your perfect occasion. Weston Park is the ultimate luxury wedding and party venue. A wedding at Weston is especially memorable as the beauty and tranquillity of the house and grounds leaves guests with an everlasting impression complimented by the stunning backdrop of the Formal Gardens and 1,000 acres of Parkland. There are 28 bedrooms available for weddings and parties that reflect the individual character of the House. Every room is furnished with family heirlooms, antique furniture and original paintings. Adjacent to the House is the Parish Church of St Andrews, which can be available for ceremonies and blessings, alternatively the House is licensed for civil weddings. Weston Park Hotel – Enterprises Limited, Weston-under-Lizard, Shifnal, Shropshire TF11 8LE. The Lansdowne Club is a London private club, which was established in 1935. Once the home of Mr Selfridge himself. On this occasion it was for a truly special birthday engagement for a local MP. Funk’N’Soul, were approached to provide a backing band for a well established Michael Buble tribute act and have since gained many more bookings on the back of this spectacular event. The Lansdowne Club is an elegant and romantic venue for your Weddings and Civil ceremonies. It’s truly unique and their beautiful rooms are ideal for your ceremony, reception and dinner dance as well as accommodation for yourselves and your guests, the Club offers everything you could be looking for. The Lansdowne Club, London, 9 Fitzmaurice Pl, Mayfair, London, W1J 5JD.